Not long after the debut of Patty Jenkins’s blockbuster, Wonder Woman, we started to hear that the sequel would be set during the Cold War. 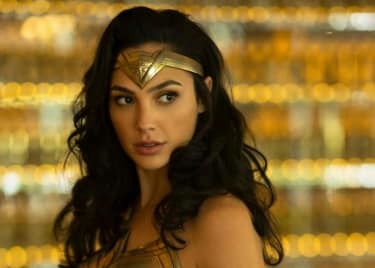 The sequel’s title, Wonder Woman 1984, ties the film to a very specific point in time, which has us thinking even more than expected about the film’s story. Usually, a superhero film cites a specific date in order to tie into a real-life historical event. X-Men: First Class was linked to the Cuban Missile Crisis, and X-Men Origins: Wolverine referenced the Three Mile Island accident. In 1984, major geopolitical stories included the assassination of Indria Ghandi and the U.S. boycott of the Moscow Olympics. Neither seems likely to feature in a superhero film. So why did producers pick this specific year for Wonder Woman 1984? As it turns out, Patty Jenkins has spoken up to help us understand, and we’ve got some additional speculation to dive into. Thematically, Wonder Woman is a perfect fit for the Cold War. 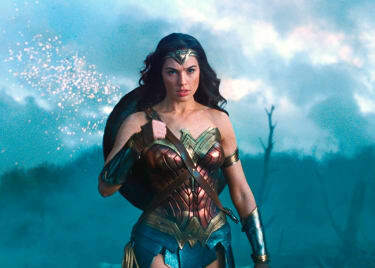 The final battle between Wonder Woman and Ares in the first film was a philosophical one, with Diana insisting that she held an unshaken faith in humanity. Steve Trevor was emblematic of her belief, as he sacrificed himself for others. Living through the 20th century would no doubt test Diana’s optimism, perhaps almost to a breaking point. World War I, the so-called “War to End All Wars,” presaged another World War, one with the horrors of the Holocaust and the bombing of Hiroshima. That’s enough to shake even Diana’s optimism. But the first film already showed Diana fighting on the front lines of a war, and the sequel needs to chart a different course. Putting Wonder Woman into action against the troubled backdrop of the Cold War is an inspired choice. As a champion of peace, Diana would watch with horror as the human race seemed to move ever closer to oblivion in a nuclear war. Yet, all of that simply assumes a Cold War setting. It doesn’t explain the very specific nature of the date. Why 1984? At the 2018 San Diego Comic-Con, during the Warner Bros. panel, Patty Jenkins took the stage to explain what the year means to her. “One of my favorite things about making the original was that it took place during World War I in 1917, an era full of metaphors like modernity and the mechanized world,” she began. We’re also wondering about that other landmark cultural meaning of 1984 — specifically, George Orwell’s “1984” novel, which explored a dystopian future in which the United Kingdom (renamed “Airstrip One”) had become a fascist state, led by a figure known only as “Big Brother.” Big Brother monitors citizens with sophisticated surveillance technology. It’s one of the most influential novels ever written and the source of innumerable concepts that have been absorbed into the popular consciousness. Could the title Wonder Woman 1984 refer to ideas from the novel? Notice the graphic released by Warner Bros. showing the film’s title. It looks as though it’s on an old television screen, right down to the distinctive “snow” effect. While that could just be a nod to TV tech of the era, it also implies a connection with the idea of a surveillance state. This has led some fans to suggest that Kristen Wiig’s Cheetah isn’t the main villain of Wonder Woman 1984 at all, but that Diana will be fighting for humanity’s freedom. If so, the real bad guy may actually be the DC industrialist Maxwell Lord, who believed beings like Superman and Wonder Woman were a terrifying threat. Using a sophisticated system called Brother Eye (actually designed by Batman), Lord launched a devastating attack on the Justice League. Ultimately, Wonder Woman was forced to snap Lord’s neck in order to break his mental control over Superman. It’s one of the key events in Wonder Woman’s comic book history, an act that she knew was unavoidable but which she’ll never quite forget. Given that’s the case, it would make sense for Lord to make his DCEU debut in a Wonder Woman movie. If all of that is the case, the reference to this specific year actually reveals some of the movie’s themes and plot arcs. That would certainly explain why the year is important enough to become the film’s title. 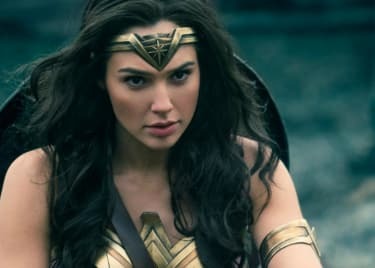 Wonder Woman 1984 opens November 1, 2019. 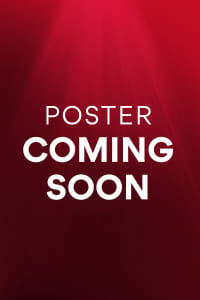 Check back on the AMC Scene for updates. Gal GadotKristen WiigPatty JenkinsActionWonder WomanSuperheroDC Extended UniverseWarner Bros.